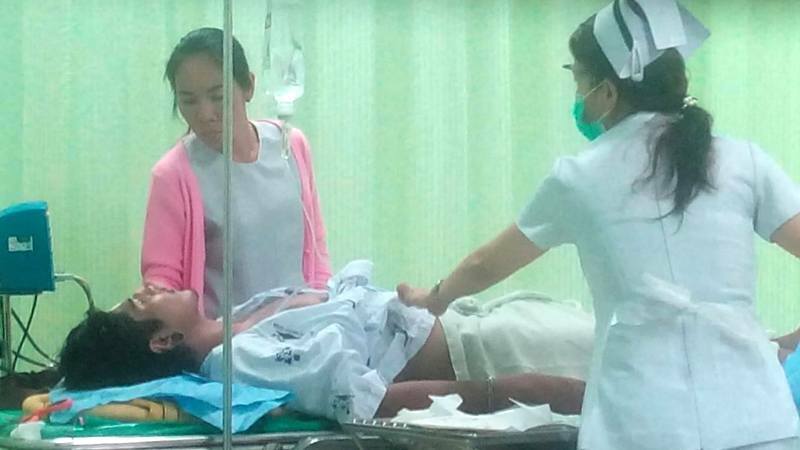 PHUKET: A Phuket man arrested on drug charges was taken to hospital with a broken leg last night (June 26) after he was hit by a tour bus while attempting to flee Thalang police. 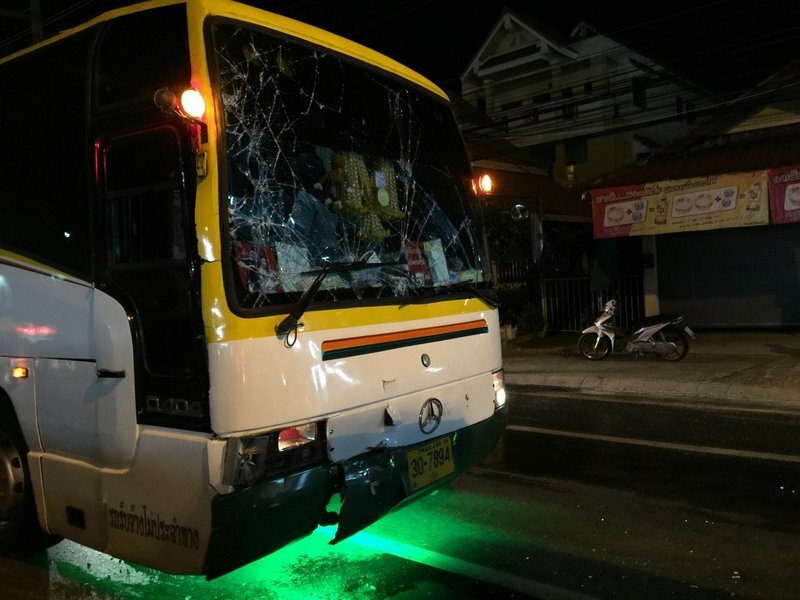 The bus full of Chinese tourists slammed into Nattawut Jaiphaew, 23, as he sprinted across Thepkrasattri Rd at about 9pm. The force of the impact shattered the windscreen. 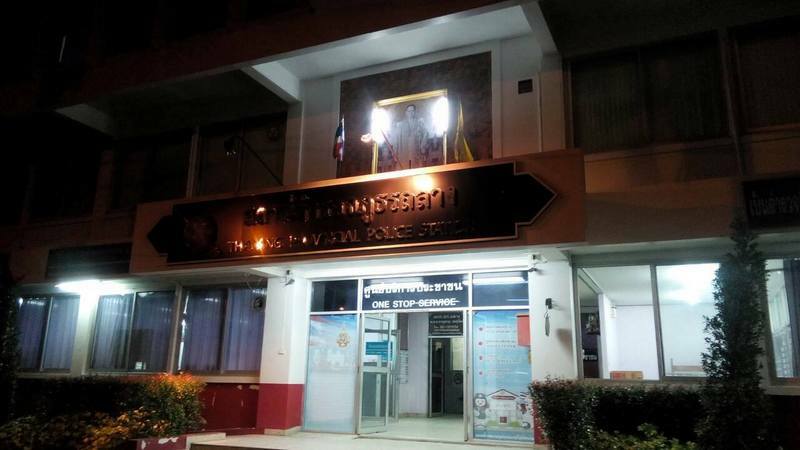 Nuttawut was arrested in Srisoontorn for illegal possession of Category 1 drug on Thursday (June 25) and was being held at Thalang police station for questioning, explained Sub Lt Sakorn Burananat of the Thalang police. When officers brought Nuttawut out for processing, he saw the front door open – and promptly bolted through it, he explained. All traffic police in the area were notified to keep an eye out for him. Within 30 minutes, Nuttawut was found hiding in temple grounds at Wat Phra Tong nearby. 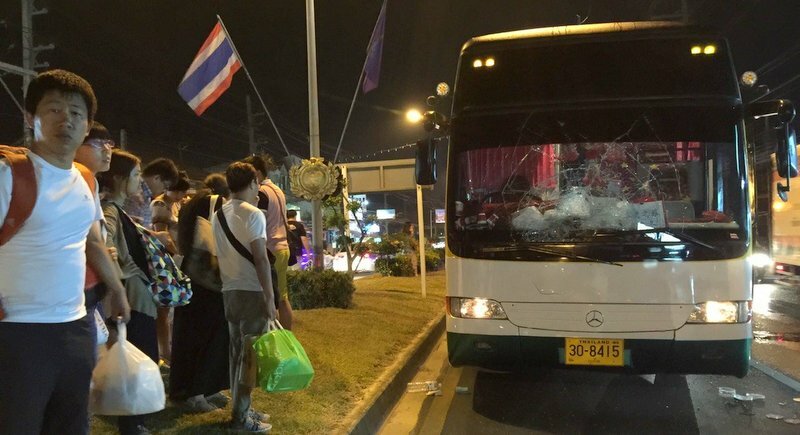 Surrounded by police Nattawut attempted to run across the busy road, and was truck by the bus. “Nattawut will now be charged with attempting to escape arrest, in addition to his drug charge,” Sub Lt Sakorn confirmed. Finally, a reckless bus driver hits someone that actually deserved it. I can just see everyone pouring off the bus to get a selfie with the crook in the street. Great stuff! Classic...love this. Too bad the bus didn't pack a better pnch, because now we'll all just have to wait a little longer before this punk is back out on the streets committing crimes.